WASHINGTON – Two Navy bases on the Texas coast are evacuating as many of their trainer aircraft and personnel ahead of Hurricane Harvey as possible, spokesmen for the installations said. Naval Air Station Corpus Christi and Naval Air Station Kingsville are directly in the path of the Category 1 hurricane, which is expected to make landfall as a Category 3 hurricane early Saturday morning. On Thursday, Kingsville evacuated approximately half of its 100 T-45 trainer jets to Naval Air Station Joint Reserve Base Fort Worth, based on whether each jet was airworthy and there was a qualified pilot available to fly it, said Rod Hafemeister, a spokesman for the base. “All airworthy aircraft are being evacuated to Fort Worth,” said Kevin Clarke, another spokesman for the base. The jets were grounded earlier this year due to oxygen system failures that led to pilot disorientation. Aircraft that were evacuated to Fort Worth stayed below a 10,000 foot ceiling to avoid any complications, Hafemeister said. 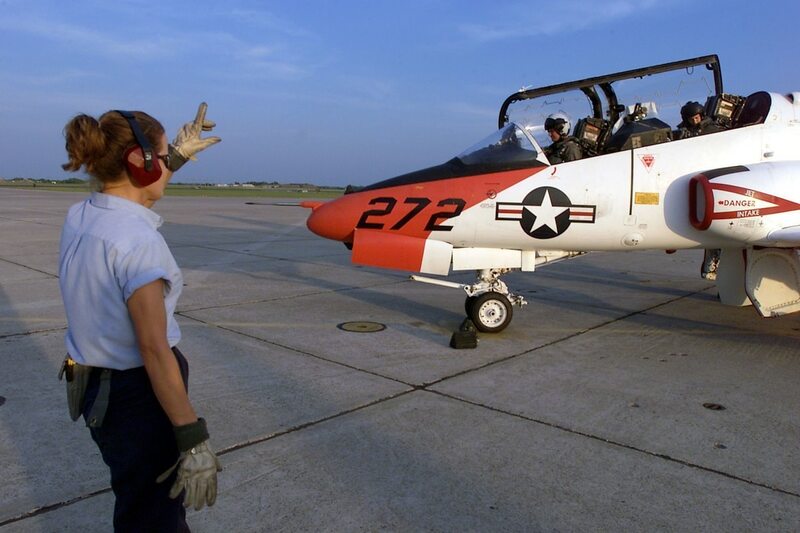 At Naval Air Station Corpus Christi the T-6 and T-44 trainer aircraft based there that were able to fly were also sent to Fort Worth, said FiFi Kieschnick, a spokesman for the base. The installations were putting the remaining aircraft in hangars to ride out the storm. Both bases were in the process of shutting down in advance of the storm. NAS Corpus Christi had asked the approximately 10,000 people associated to the base - which includes about 1,200 flight students, their families, and thousands of contractors who support resident Corpus Christi Army Depot - to head to the Dallas area, because San Antonio is expected to face storm-related flooding. NAS Kingsville, which houses about 1,500 flight students and instructors, is also shutting down, said spokesman Kevin Clarke. “NAS Kingsville will be closed to non-essential personnel beginning this evening. Non-essential personnel are being evacuated to [Fort] Worth as well,” Clarke said.